Peelports held a statutory Marine Scotland Pre-Consultation event at Seamill Hydro on the 22nd February 2018. 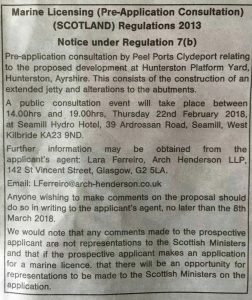 The public notice indicates that the developments at the Hunterston Platform Yard and this Consultation concerned construction of a jetty and ‘alterations’ to the abutments. Representatives from Peelports, Arch Henderson LLP and EnviroCentre Ltd were present but were difficult to identify and was left to the public to try and ascertain who was responsible for different aspect of the proposed development. It was impossible to engage in coherent communication and ascertain any facts as continually directed to different representatives. People from Isle of Bute and the Cumbraes have expressed concern that due to travel and ferry constraints that it was impracticable for them to attend the event. Before the event we emailed Arch Henderson LLP for further information and to express some concerns as instructed in the Public Notice. 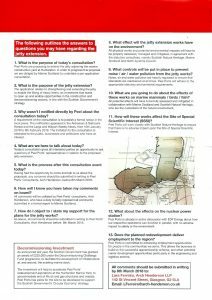 We were told that these concerns would be addressed at the Pre-Consultation event. This did not happen. 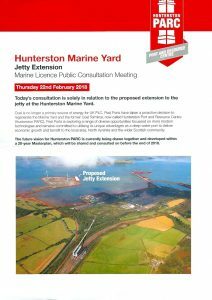 The only information on display consisted of the HUNTERSTON PARC flyer for Jetty Expansion (below) and a plan of the Construction Yard. There is limited information contained in this flyer. The only ‘useful’ information is a photograph of the proposed Pier/Dock development location. There was no information on the dock construction or construction of the abutments or caisson gates. There was no information of the environmental sensitivities or impacts from this development to the Southannan SSSI. There was no information on how the wider proposal of oil rig decommissioning will effect the Clyde sea area. There was no information or social economic appraisal and how this development will effect the tourist offering of the North Coast. The only environmental data that was present was an ‘illegal copy’ of Clyde Porpoise CIC sightings. 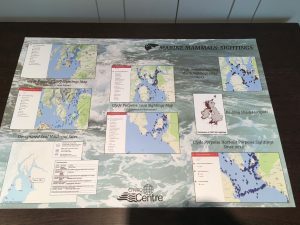 A poster was presented to mislead the public and give impression that EnviroCentre Ltd Consultants were working with the marine mammal project. The director of Clyde Porpoise CIC confiscated the poster (below). non-consented use of marine mammal sightings data by Enviro Centre Ltd during Peelports statutory Marine Scotland pre-consultation. 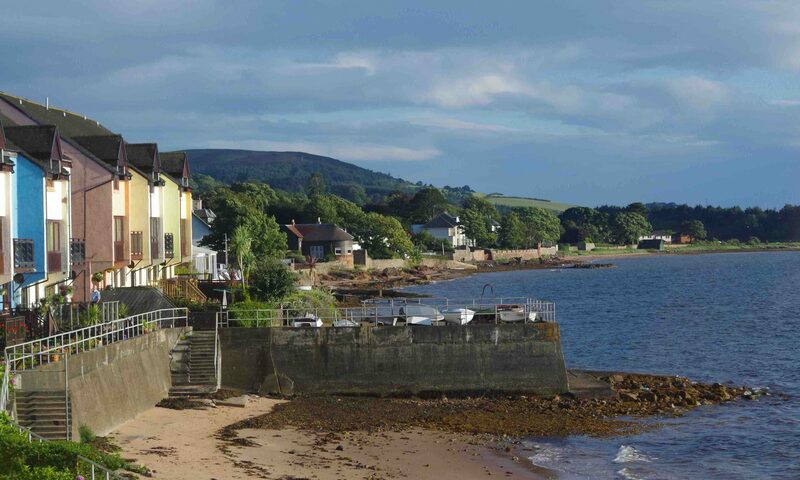 Fairlie Community Council are meeting to discuss the pre-consultation event on Monday 5th March 2018. Please note that comments about the proposal and general comments about the event must be submitted by the 8th March 2018 to Arch Henderson LLP and/or Marine Scotland. I agree completely with David Nairn. I attended this so called consultation where it was as clear as day that the proposed developer and his consultants were simply going through the motions with what to them was simply a box ticking exercises. This happens because NAC and their officers let developers away with this type of thing time after time. I would urge our elected councillors to press for the developer to be advised that, as far as planning pre- consultation is concerned, the box on this occasion has well and truly NOT been “ ticked”! They need to start again; this time providing meaningful information on what is actually being proposed. At last nights Clyde Marine Planning Partnership meeting we were told that Peelports (A CMPP Board Member) did not inform their colleagues that they were holding the statutory Marine Scotland consultation at Seamill Hydro. I think it is significant that a board member is not reporting critical marine planning information to the rest of the Board and may be an attempt to avoid environmental scrutiny from other board members? 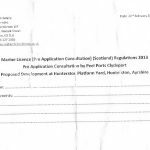 Previous PostPrevious Would you like to be a Fairlie Community Councillor?